9-inch Crystal Constitution Bowl: 9-inch Crystal Constitution Bowl: 9-inch Crystal Constitution Bowl gracefully designed. Revere-style bowl emblazoned with words inspired by the Preamble of the U.S. Constitution. 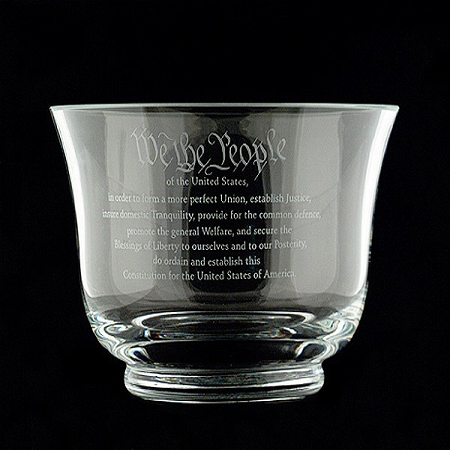 Revere-style bowl emblazoned with words inspired by the Preamble of the U.S. Constitution. It looks sophisticated and centerpiece for all your gift giving needs.